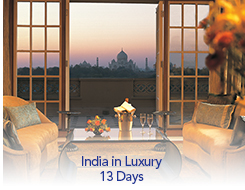 Travel back in time to the sumptuous empires of the Maharajahs. This luxury embellished itinerary blends history, culture, natural beauty and modern India into one delightful package that includes both the expected highlights and the charming, colorful surprises that make India one of our most in-demand destinations. Welcome to India's capital city! Upon arrival you are welcomed with a traditional Indian greeting before being escorted to your hotel. 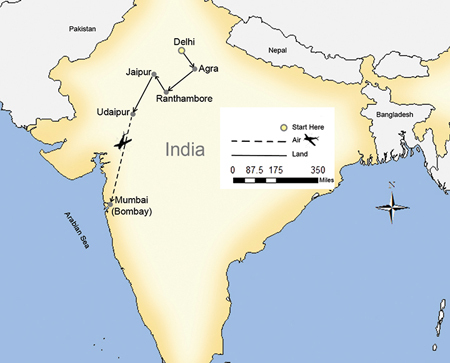 **Between Jul 01 and Sep 30, the itinerary will operate without Ranthambhore.